yesterday my UM Original - while printing a bigger model - suddenly went another way. Than I made some test prints and allways got "chaos prints". Enclosed image of a belt tensioner with the print result. All belts an screws of the printer seem to be fixed well. It has the latest firmware. 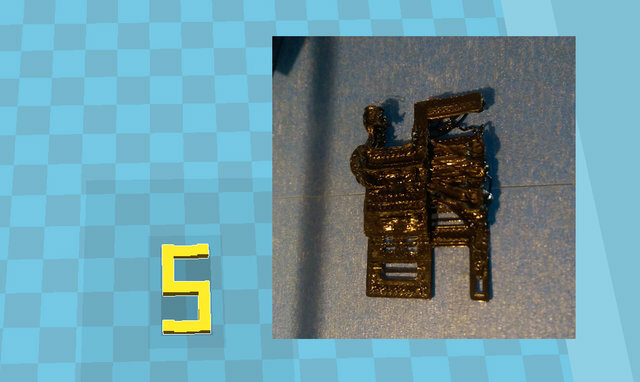 I should also mention that the printer has Ulti-Controller. But it is now printing such chaos with or without controller. The printer has been working fine for 2 1/2 years - just having normal issues. Any suggestions - maybe the stepper driver? Did anyone have or heard about stepper driver issues? assuming the tightening of the screws are done well (check with a drawn line over them with a pen) you can also check if the fan underneath the electronics board is running. If the fan does not run you will notice already in the second layer the print can shift.